Take a sneaky beak at this tropical Toucan Print Summer Dress and get ready to be given a rather beautiful bill of fashion health! 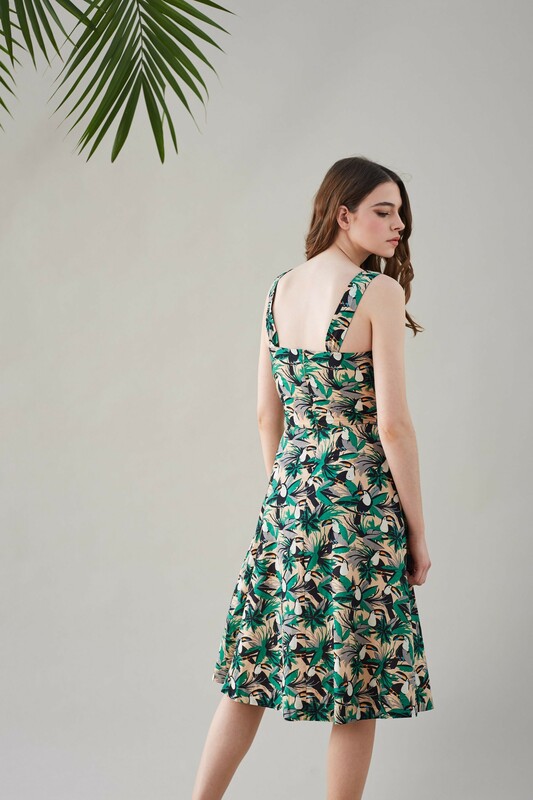 This fabulous bird print dress is bursting with vibrant green leaf print, bright billed Toucans all set on a neutral background making this a bold, yet still elegant, printed dress. For anyone on the look out for a stunning wedding guest dress, this 1940s style number is pretty and filled with personality and individual style. We are teaming this jungle print dress with socks and sneakers in the day and straw wedges in the evening. 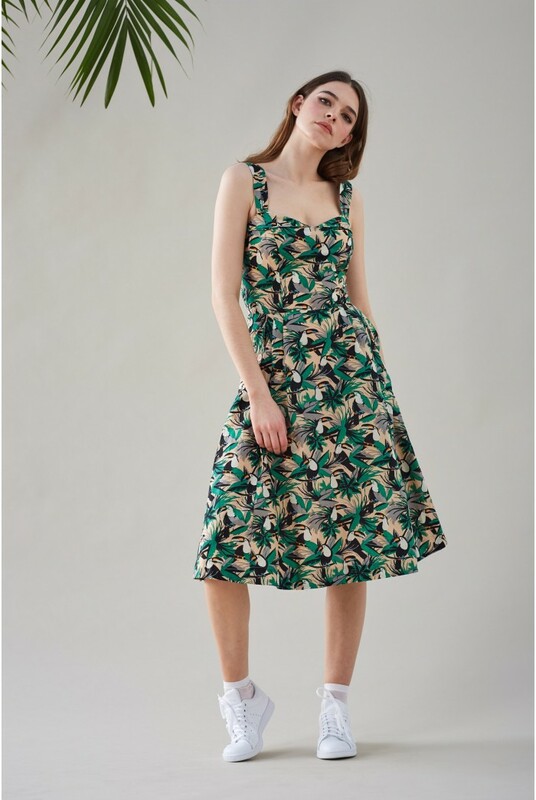 This is a below the knee length dress in all over palm and toucan print in green and black with flashes of red and white to the birds' beaks. The dress boasts a flared shirt, fitted waist, sweetheart neckline and wide shoulder straps. 100% cotton.